Come into the special ed classroom, where the kids who don't fit in anywhere else spend their day. For these kids-real kids Dennis J. Bernstein taught in the New York City public schools before he became an internationally known investigative journalist-pistols, switchblades, police cars and hunger are more instructive than textbooks. 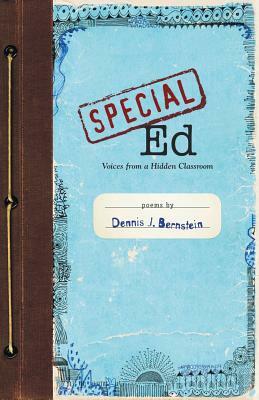 Special Ed is about daily life under the siege of poverty, racism, and class warfare. We come to know these kids intimately: Gloria, whose mother was disappeared in Guatemala and whose friendship with Marilyn rescues her from trauma-induced silence; Paulie, who -finds tears in the mirror's eyes- but thinks of himself as tough and defies the gang-guys who threaten to drop him from the roof of the projects; Regina, who sells nickel bags before class and gets high alone in the gym before giving a heart-wrenching performance of a poem by Langston Hughes. Dennis Bernstein loves these kids fiercely, and we come to love them too as the collection unfolds.